I want to stand on the roof top and shout it: We love you, donors! Because of you, disaster assistance is free. Because of you, families divided are reunited. Because of you, trauma patients don’t need to wait, or wonder if there will be enough blood—there will be, because you gave it. You give from your hearts, from your belief in our mission, and from your trust in the Red Cross to be ready and to be there—in a moment’s notice—whenever and wherever disaster strikes. Thank you! We love you because, with your generosity, you are there beside us: giving back what fire takes, reconnecting military families after deployment, making sure the nation’s blood supply never falls short. Together with you, we help the people of Minnesota, the United States, and the entire world every day. Thank you for your compassion. Thank you for your generosity. Thank you for your trust. Thank you for helping us to always be ready. 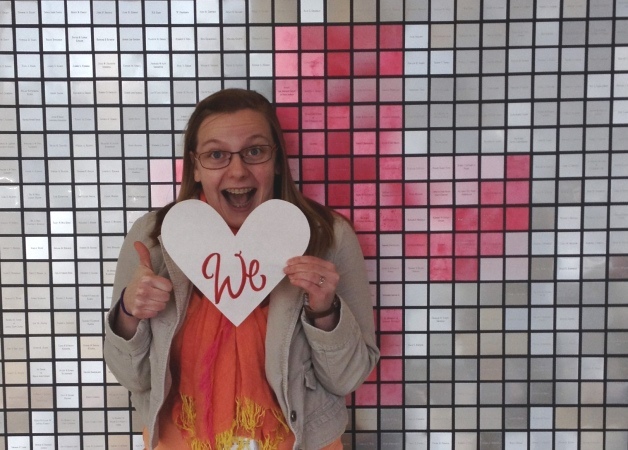 We do—we love you! And if you ever have questions about your giving experience, or if I may be of service, please call or email me anytime—I am here and happy to help. On November 13, GiveMN.Org will host its annual 24-hour give-a-thon to ignite generosity in Minnesota. This amazing day supports the work that hundreds of non-profit organizations are doing across our state every day. This includes the American Red Cross. For a family who loses everything, there is no such thing as a small disaster. From home fires to tornadoes, winter storms to health emergencies, the Red Cross is there for all Minnesotans with help, hope and a warm hug. And we are there for them with you beside us. Last year, local giving to the Minnesota Region of the American Red Cross enabled us to respond to more than 600 emergencies, assist more than 850 families, teach CPR and other lifesaving skills to nearly 80,000 individuals, and provide other valuable services that helped change lives and make our communities safer. 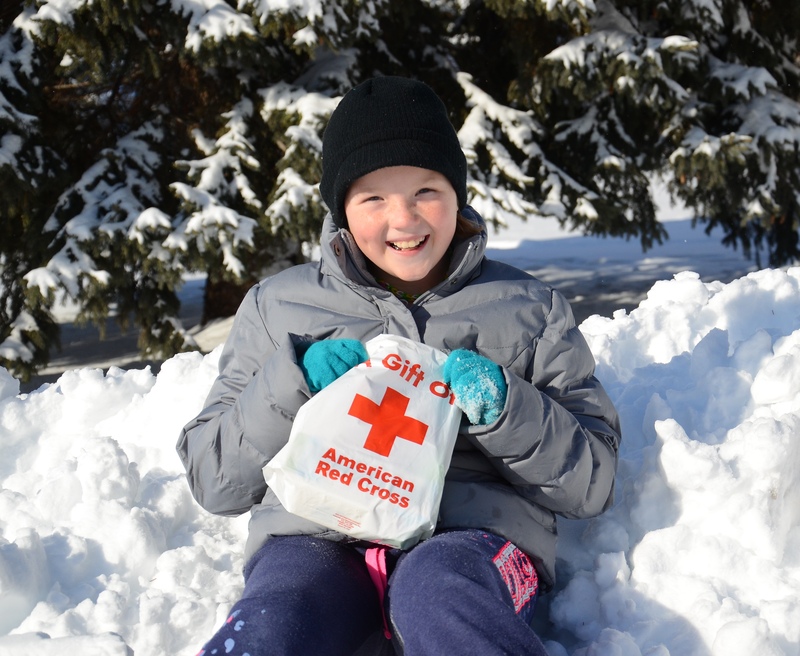 On Give to the Max Day, November 13, 2014, show your support for the Red Cross and its important work in Minnesota. Help us be there, for you and for your neighbors, in times of need. Schedule your gift now. 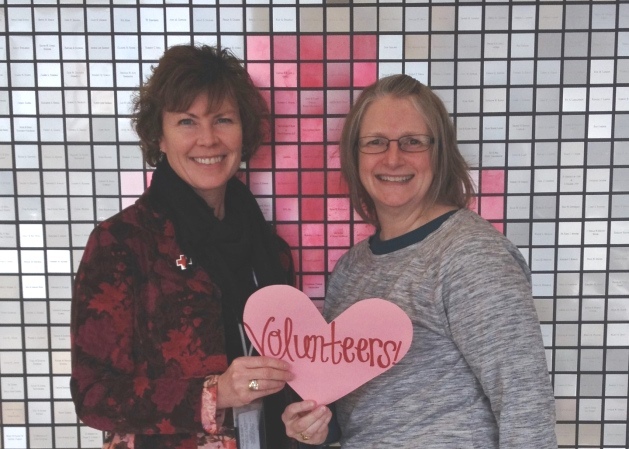 With Valentine’s Day just around the corner, the American Red Cross would like to show appreciation for our volunteers and say “we heart you!” Volunteers constitute 94% of the total workforce to carry out our humanitarian work. Valentine’s Day and every day. Many Red Cross volunteers help in their communities as well as get trained to respond when other parts of the country are hit by a major disaster. If you want to join the Red Cross as a volunteer, visit www.redcross.org/support/volunteer to search and apply for opportunities in your community. Balloon tosses, lollypop pulls and county fairs… those were sure signs of summer in Minnesota. These three things have something else in common: each played a part in ensuring that when disasters strike the Red Cross is prepared to respond. Let me explain the connection for you. As the Fundraising Events Director at the American Red Cross Northern Minnesota Region, anytime a community member or group wants to raise funds on behalf of the Red Cross, the call is sent my way. I work with this group of donors to make sure they have everything they need in order to hold a successful fundraiser. These can range from canisters on a store counter to choir concerts and bake sales. If someone wants to raise money in the community, I’m their gal! One day this past summer, I received a call from Chad, the father of Aliyah Robran. 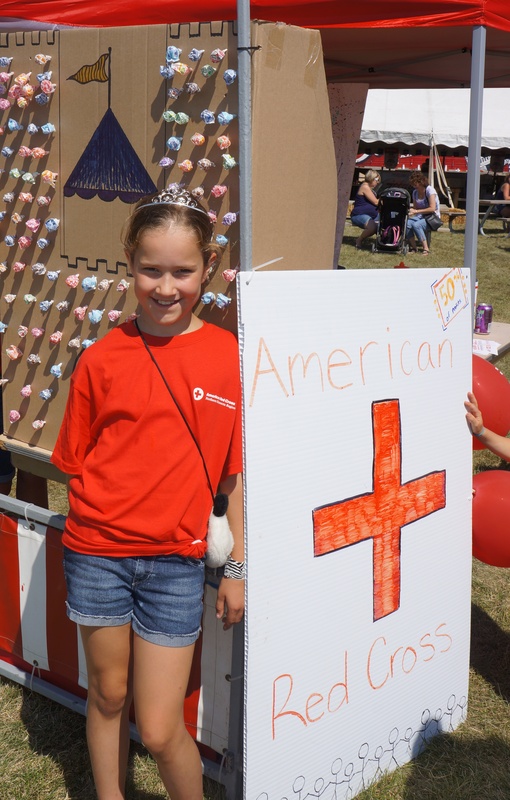 Aliyah and her friends Brianna and Alyssa Brolin were planning to have a booth at the Corcoran Country Daze Fair and wanted to raise money for the American Red Cross. In keeping with the hot summer days we had, the girls decided on a water balloon toss as one of the fundraisers. 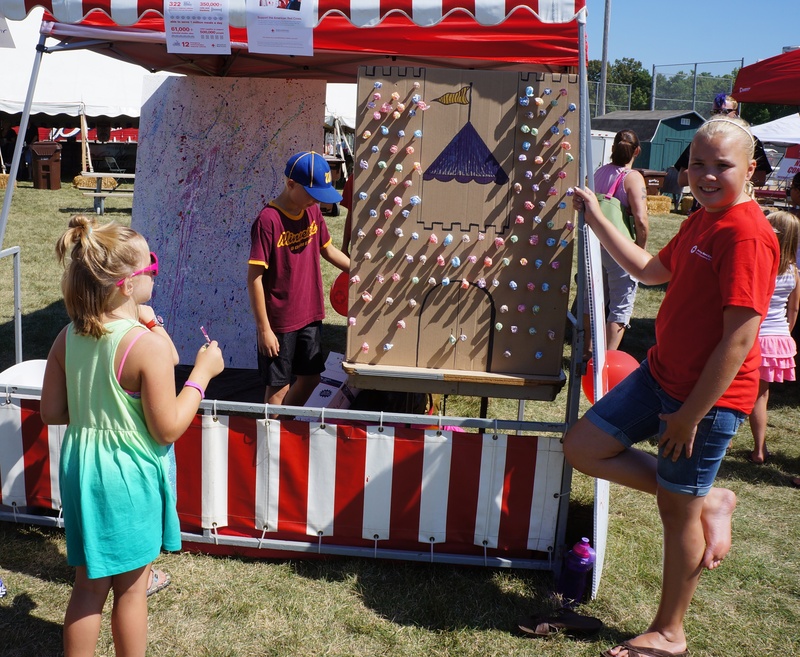 For $.25, fair goers could pop a water balloon to reveal a ribbon inside. The color of the ribbon determined the prize won. Items came straight from the closets of the girls. The other fundraiser was a $.25 Lollypop Pull. Those lucky enough to pull a sucker with the correct marking, won a prize as well. 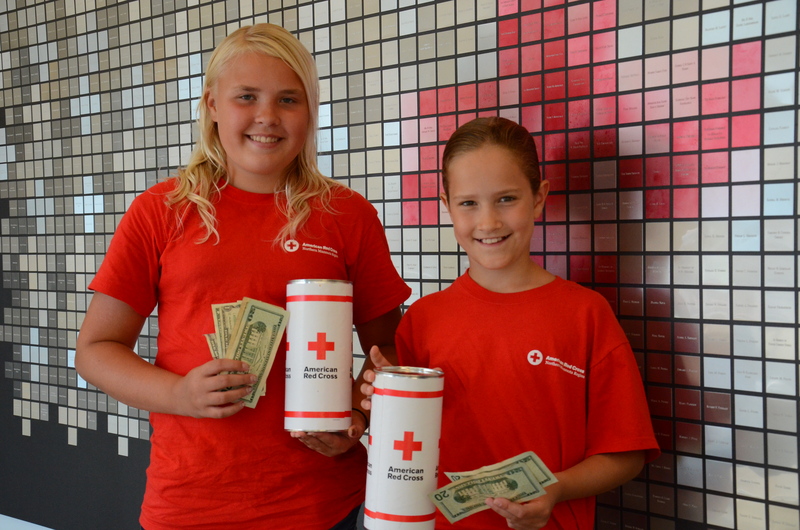 All together, the girls raised $126.56 for the Red Cross and wanted to have the money go towards Disaster Relief! These creative kids are just one example of the generous support we receive from the community. 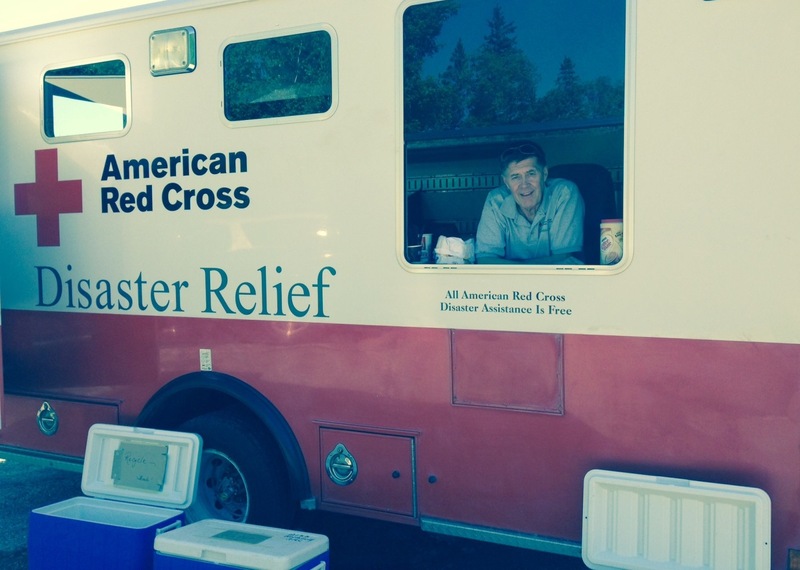 Often people feel called to action once a disaster has happened, but these community fundraisers are a great way to make sure the Red Cross is prepared year round before, during and after disasters. During their county fair, Brianna Brolin (l), Aliyah Robran (r) and Alyssa Brolin (not pictured) raised money for American Red Cross disaster relief. If you’re interested in hosting a community fundraising event, give me a call at our region offices in Minneapolis: 612-871-7676. I love to hear from people in our community who are passionate about our mission–to alleviate human suffering in the face of emergencies–and want to help fulfill it. 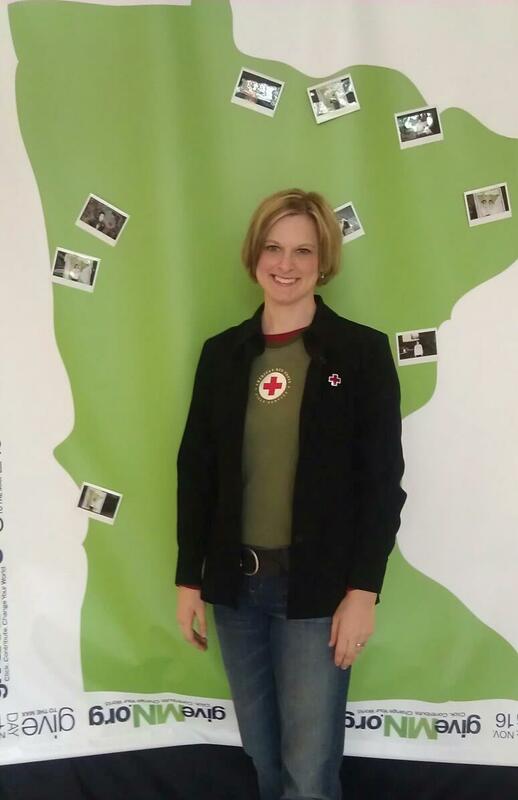 Guest post by Kristin Peters, Fundraising Events Director for the American Red Cross Northern Minnesota Region. Click here for the Region’s website and to learn more about the Red Cross. A tired Yvonne Johnson sat at a table in her apartment complex community room. “I am still in disbelief,” she said. “You hear of people in the news who have fires like this, but I never thought it would be ME in this situation. It still seems so unreal!” she said. Yvonne, her teen daughter and nephew had enjoyed Christmas together in their apartment in Plymouth when their building fire alarm went off at about 12:30 a.m. They were still up, and dressed, and they grabbed their new gifts and put on their boots and coats and went outside. A half-hour later they were given the okay to go back into their apartment. At approximately 3:30 a.m. Yvonne was woken out of her sleep by the smell of smoke and her daughter saw sparks and flame out of the balcony window coming down from above. Yvonne and the two teens raced out of the apartment, this time dressed only in pajamas and unable to save anything but a clutch with her phone and keys. Disasters are hard any time of year, but can be especially hard around the holidays. Since Friday, December 22, the Northern Minnesota Red Cross has helped more than 8 families, including 20 adults and 15 children. Our volunteers respond to more than a disaster a day here in our region. In addition, more than 100 volunteers from our area have deployed east to help those affected by Superstorm Sandy–several are on their second deployment, missing holidays with their families because they want to help those in need. Everyone can help those affected by local and national disasters: please consider making a year-end gift to the Red Cross at redcross.org. Red Cross responder Carrie Carlson-Guest helped promote Give to the Max Day at a giveMN.org event. We’re not surprised by your generosity even though others around the country might be. Minnesotans have long been givers–of time, wisdom, and money. This was no exception during the 2011 Give to the Max Day. The American Red Cross in Minnesota ranked 35 out of nearly 4000 and made the Top 100 leader board. YOU donated more than $35,000 to support our mission to provide humanitarian relief during disaster and to help people prevent, prepare for, and respond to emergencies. And so we extend our appreciation most heartily during this season of giving thanks. We can also say without a doubt that the beneficiaries of your generosity are incredibly grateful as well. If you missed Give to the Max Day, you can still share with others. Check out our 2011 Holiday Giving Catalog. Among the treasures Terry Dugger has kept through the decades is a uniform that she wore as a Red Cross volunteer at the military hospital on Offutt Air Force Base near Omaha, Nebraska. “We saw the fellas coming in from motorcycle accidents. I went to different rooms and passed out shaving equipment, playing cards, and other things like that. There wasn’t anybody else on the base to do it,” she says. Dugger’s Red Cross uniform is different from those the Gray Lady Service volunteers used during World Wars I and II. This has blue and white pin stripes. 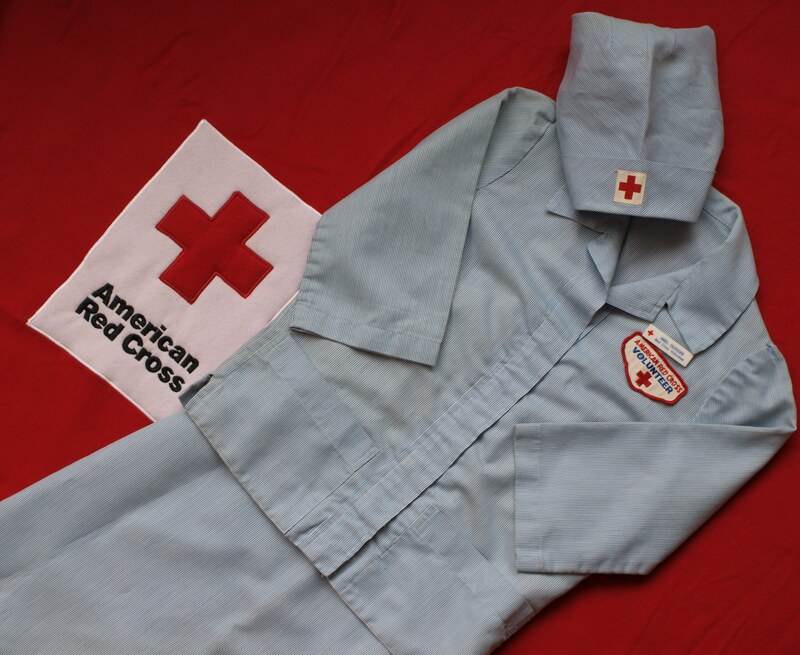 Worn for only two years and in excellent condition, the uniform is now a gift from Dugger as a means to share and preserve Red Cross history. 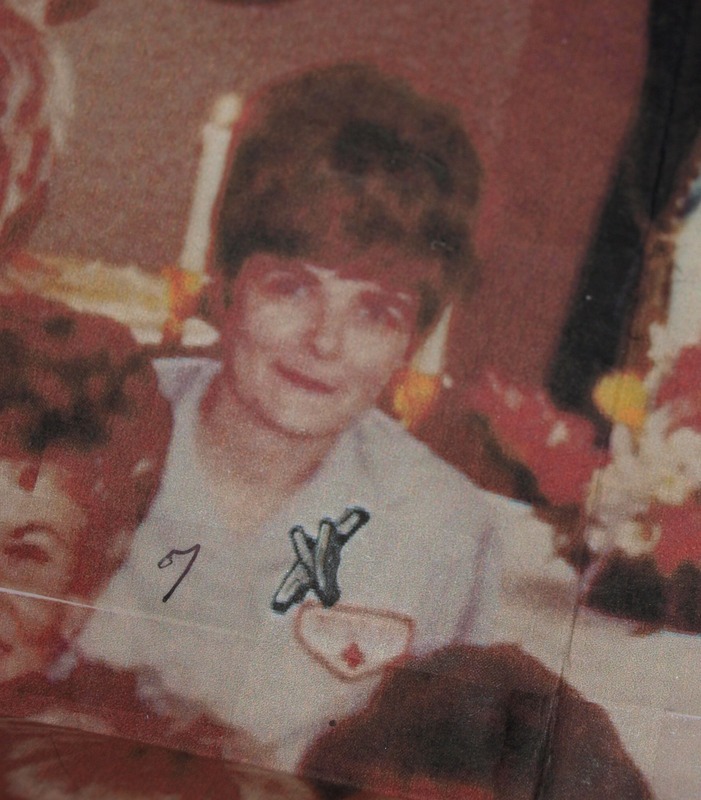 Dugger, who was an air force wife for twenty years, did volunteer work when her six children were in school, serving in the Red Cross from 1968-70. Now 80 years old, Dugger still shares valuable time doing a variety of volunteer activities. 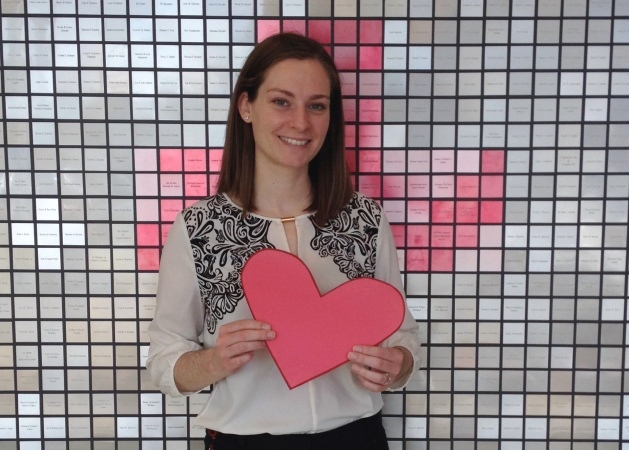 Being a volunteer has given—and continues to provide—Dugger with a greater sense of purpose. Currently, she’s a volunteer at the Armed Forces Service Center at the Minneapolis-St. Paul airport. Born in Saint Paul, Minnesota, Dugger attended Saint Mark’s elementary school, located a couple blocks from her residence for thirty years. 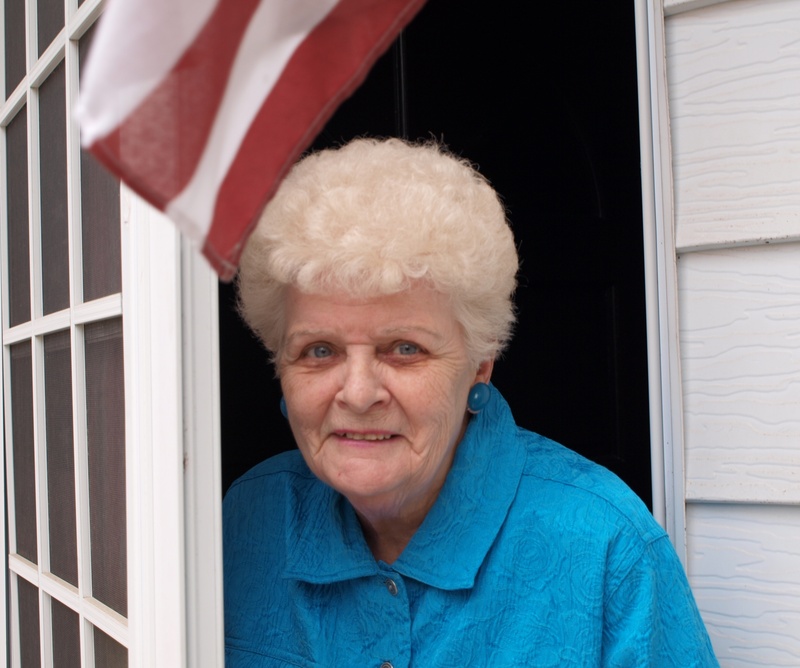 Growing up, both of her parents worked so she often tended to the “roomers” they had to help pay bills. Dugger says that the experience taught her to be independent, a characteristic she cherishes so much that she would never consider getting herself a boyfriend. “Are you kidding!?! I had a good husband. I can do what I want. I can eat ice cream for breakfast. I’ve got a lot of things to do,” she says. Dugger also has no use, she says, for a computer or a cell phone. Instead, she looks forward to getting letters from the postal service everyday. She advises everyone, including her 40 or so grandchildren, great-grandchildren, and great-great-grandchildren, to stay busy throughout life.